Fans of Nirmala Rajasekar shared a post. "This album deserves wide attention both for its beautiful music and message." We could not agree more! What a BEAUTIFUL review from Songlines... congratulations to the Maithree ensemble: Nirmala Rajasekar (veena, voice) Muruga Boopathi (Indian percussion) Michelle Kinney (cello) Pat O'Keefe (winds & cowbell) Tim OKeefe (world percussion)! And if you haven't done so already, listen to Maithree here: https://open.spotify.com/artist/0rAdVEwwjb9wh4BXb2wfTl 2 months 11 hours ago. The grandmother of the Indian Sitar is the Veena; soulful, generous, and sometimes a handful. Her ancestral home is in the tropical southern peninsula of India where the coconut water and swaying palms accompany all-night concerts by the sea. The Veena, the Official National Instrument of India, has seven strings and is the instrument of choice for Saraswati, the goddess of culture, art and learning. Under the sensitive but calloused fingertips of Nirmala Rajasekar it has never sounded better at least in the last 2,000 years. From Bangalore to Berne, Madras to Minnesota, she has captivated audiences around the world for three decades. A recent recipient of a Bush Artist Fellowship and the first Indian musician to win the McKnight Fellowship for Performing Artists, she has now followed her previous innova release, Song of the Veena (innova 214) with a new scintillating journey to the center of the raga. Into the Raga is an exquisite collection of ragas (melodic modes) and their many hues. The emotion of each raga on this album is seen and heard through the lovely alapanas (extempore melodic improvisations), majestic thanam (pulsating melodic improvisations), and firepowered swara prastharas (rhythmic improvisations in defined modes and rhythm meters) – all supporting the beautiful poetry of the compositions. 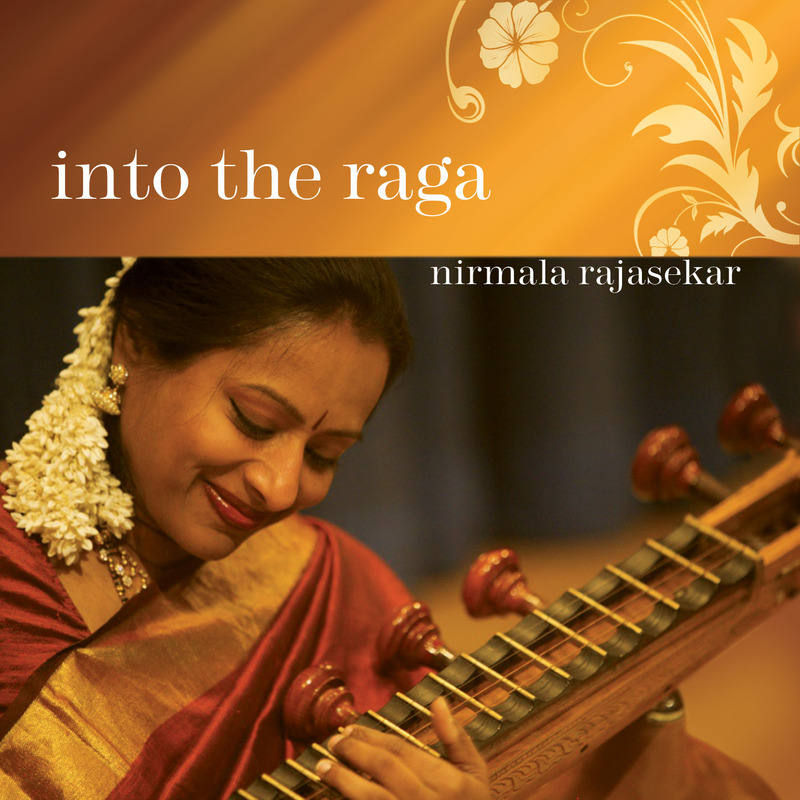 In Into the Raga Nirmala Rajasekar is in the company of some of the most versatile Indian performers in the world today on the violin, mridangam (South Indian drum) and ghatam (musical pot). Whether you already are a connoisseur of the Carnatic tradition or you are a novice, this is a beautifully performed and beautifully recorded program that will give you much to appreciate and enjoy. Nirmala mesmerized the packed New York audience with her superior virtuosity and the choice of ragas. In Nirmala’s playing melody reigned supreme.